Located just a few minutes east of downtown Vancouver, Strathcona is one of the cities oldest neighborhoods and one of its most culturally and economically diverse. Strathcona includes parts of Vancouver's dense, bustling Chinatown, borders one of Canada's poorest areas (the Downtown Eastside), and has, in recent years, been a prime area for gentrification. Strathcona has much to offer its residents, including a rich historic and architectural heritage, fast, easy transportation to downtown Vancouver, and--most importantly--still reasonably priced real estate. With Vancouver real estate continuing to sky-rocket, Strathcona's more moderate prices are a real plus, encouraging young families to purchase and restore old houses here and young professionals to look here for modern, newly-built apartments. The secret to Strathcona's lower real estate prices--and the single drawback to (northwestern) Strathcona itself--is its disreputable neighbor, the Downtown Eastside. The Downtown Eastside is Vancouver's poorest area and one plagued by problems such as drugs, crime, and inadequate housing. Before considering moving to the area of Strathcona near Main Street and Chinatown, make sure you're familiar with the local issues. Located immediately east of downtown Vancouver, Strathcona is bordered by Hastings Street to the north, the Great Northern Way to the south, Main Street to the west and Clark Drive to the east. Strathcona residents are hard-working families and adults from all walks of life. Economic diversity and multiculturalism make the area a popular one for artists, feted annually by the fine art festival Eastside Culture Crawl. Strathcona is also one of Vancouver's most multicultural communities and includes a strongly-represented Chinese-Canadian population. Over 40% of residents cite Chinese as their first language, and the Chinatown portion of Strathcona hosts the annual Chinese New Year Parade. For both eating out and shopping in Strathcona, it's hard to beat Chinatown. Centered around Main Street in Strathcona's westside, Chinatown is packed with a wide variety of import stores--ranging from home furnishings and clothes to Chinese-language DVDs--as well as fresh food and seafood markets. For dining out, Chinatown's best restaurants include the ever-popular Hon's Wun-Tun House and Floata Seafood Restaurant (famous for its Dim Sum). Strathcona is also home to Vancouver's zaniest gelateria, La Casa Gelato, a must-visit on hot summer nights. There are five local parks in Strathcona. The largest, Strathcona Park, includes off-leash dog areas, playgrounds, soccer fields, a baseball diamond, and many other amenities. 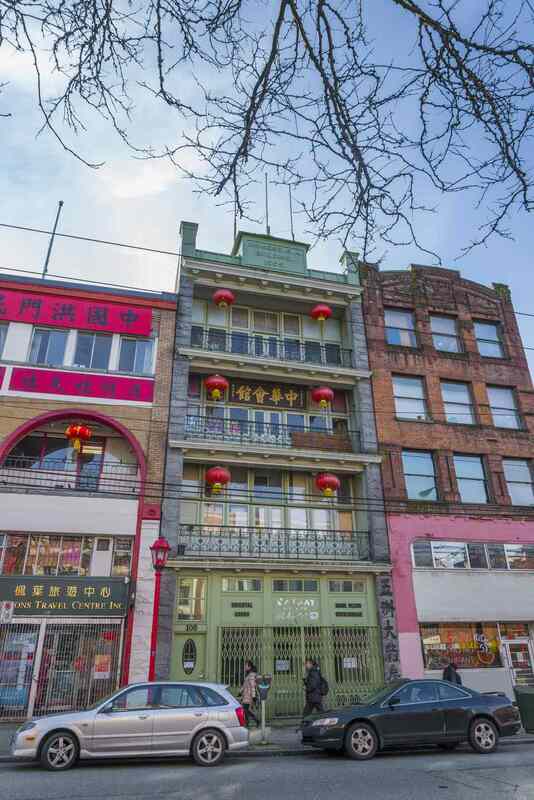 Along with several Chinese Canadian heritage sites and monuments in Chinatown, Strathcona landmarks include the Lord Strathcona School, built in 1897 and one of Vancouver's oldest standing schools, and the historic Pacific Central Station. Today, the Pacific Central Station is both a train station--it's the western terminus for VIA Rail's cross-country train and the northern terminus for Amtrak's Cascades route--and a cross-country/international bus station.